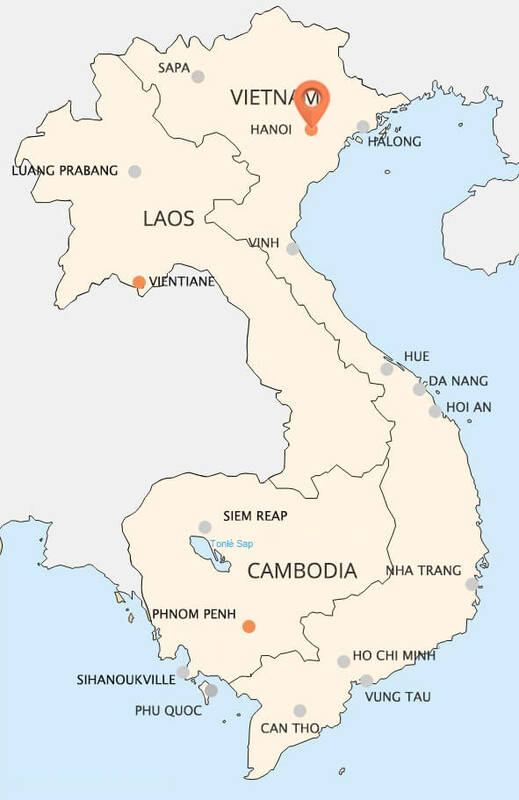 Hanoi – Viet Nam’s capital is located in the Northwest of Red River Delta. 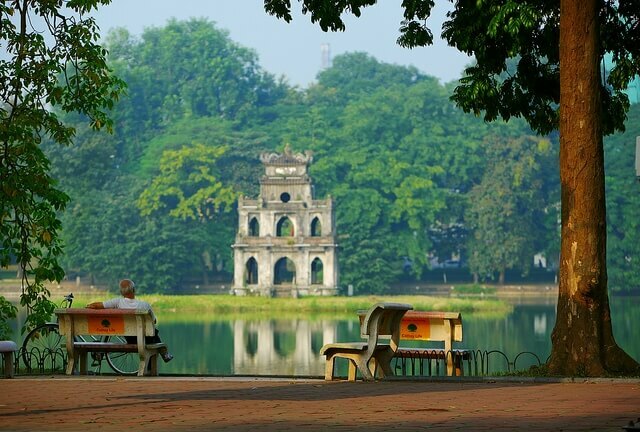 Hanoi first attracts tourists by its own name, it means “the hinterland between the rivers”. Hanoi is embraced by the two rivers: Red river and Day river. 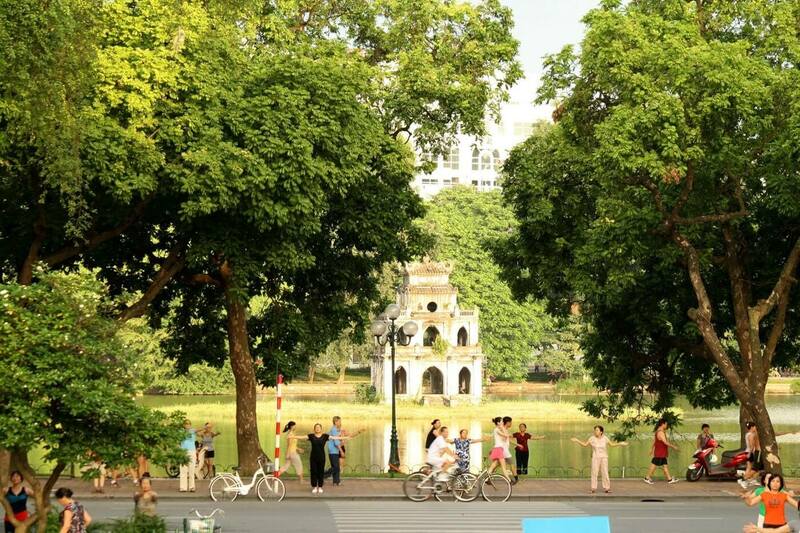 Endowed by the nature, Hanoi possesses a typical climate of the Northern with four distinguished seasons in a year: Spring, Summer, Autumn, Winter. Hanoi is where different cultures comes together, as evident in architectures, costumes, cuisines, and pastime of people. When mentioning Hanoi, not only Vietnamese but also Westeners are familiar with the phrase “Hanoi 36 Streets and Guilds”. In the past, each street specilized in a kind of good like Hang Bac, Hang Chieu, Hang Bong, Hang Ma… Nowaday, although some streets no longer have the products for which they were named, trading is still noisy there. All streets gathered around Hoan Kiem lake in the heart of Hanoi, which is called Hanoi Old Quarter. 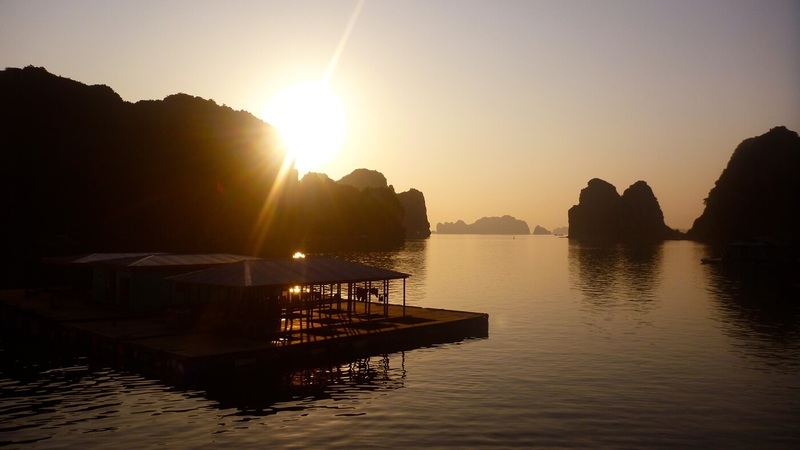 Hanoi is the most attractive destination of Viet Nam but also the most mysterious and interesting capital in the world. 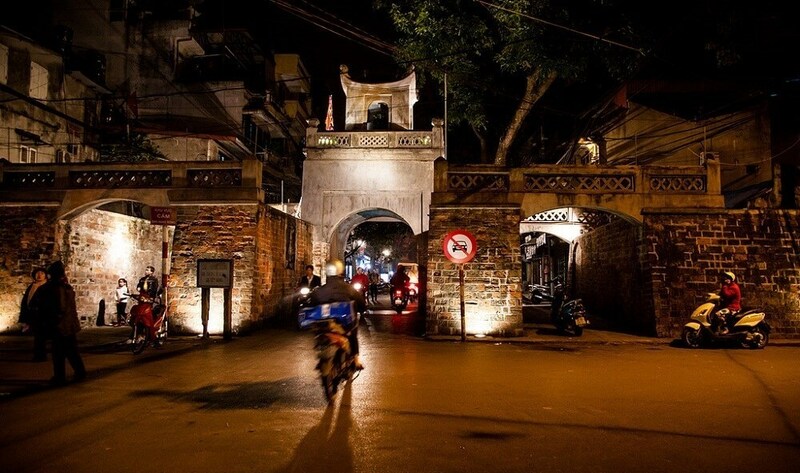 Hanoi Old Quarter is located around Hoan Kiem Lake. Visitors will want to wander along the old streets to drop by stores and buy specialties. Anyone who visits Hanoi would like to explore the Old Quarter, with some names of specialized streets: China bowls (Bat Su), roasted fish (Cha Ca), silver or jewelries (Hang Bac), women accessories (Cau Go), shoes and sandals (Hang Dau), silk (Hang Gai), mixed fruits (To Tich), combs (Hang Luoc), jars (Hang Chinh), tour services (Ma May), candies and dry apricot (Hang Duong), fried/roasted sour pork hash (Tam Thuong lane on Hang Bong Street), bamboo products (Hang Buom), etc. Many of Hanoi’s major attractions are within or nearby the Old Quarter, including Hoan Kiem Lake, Hanoi Opera House, The Big Minster, National Museum of Vietnamese History, Ba Dinh Square, the One Pillar Pagoda, Bach Ma Temple, Thang Long Water Puppet Theatre and Dong Xuan, Hanoi’s largest market… Somebody, who visited Hanoi Old Quarter, said that: “The streets are your restaurants.”. Hanoi 36 old streets and guilds is the paradise of street cuisine. Wandering around streets, you can enjoy not only beautiful sights, strange souvernirs, hospitable people, but also the special foods. Tired of wandering around? You can turn into any food store on the edge of the street. The most common foods and drinks here are Pho, Bun (rice noodle), Banh Mi (burger), Ice cream, Che, Lemon Ice Tea… To fully explore the Old Quarter in Hanoi, prepare your feet for a day of walking street to street and taking in the locals' daily life, the old-style narrow streets and houses, the colorful souvenir shops, and of course trying some of the most tasty traditional foods of Hanoians. But if you are sick of over-walking, you can go by a “cyclo”, it will be very interesting and funny. Hanoi Opera House is an old theatre with French architecture and typical Gothic and Mosaic characters reflected on the door domes and the glassed room respectively. It is located on street “August Revolution” near by Hoan Kiem Lake. It was built in 1901 and finished in 1911 by the then ruling French. 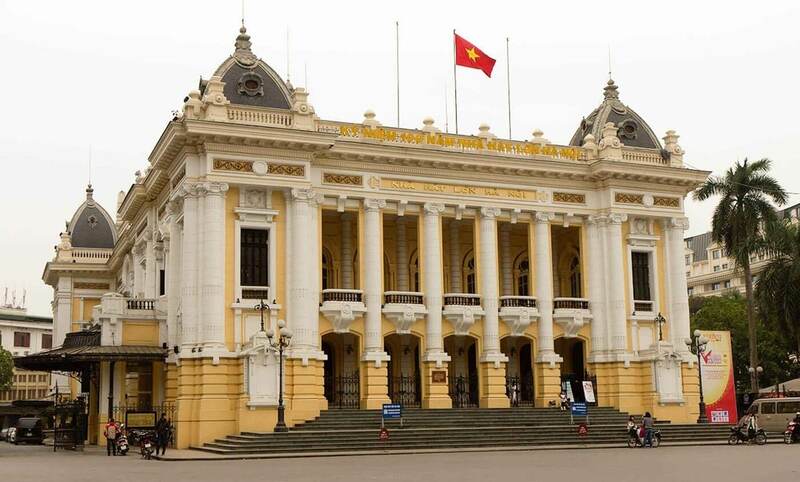 The Hanoi Opera House is of the same architectural style as the Opera House in France. Some foreign architects said that due to being built nearly 300 years after the Paris Opera House, the Hanoi Opera House avoids superfluous architectural details. Therefore, it is more magnificent and attractive. After nearly 100 years of operation, the theatre's equipment and adornments became old and run down. In 1997, the theatre was repaired and modernized under the management of two Vietnamese French architects, Ho Thieu Tri and Hoang Phuc Sinh. The original architecture of the 3-storey theatre has remained. The decorative designs on the ceiling, arches, walls, and doors were renewed. The 3-metre-high stage and the audience's hall, with 600 seats, were also modernized in conformity with international standards. 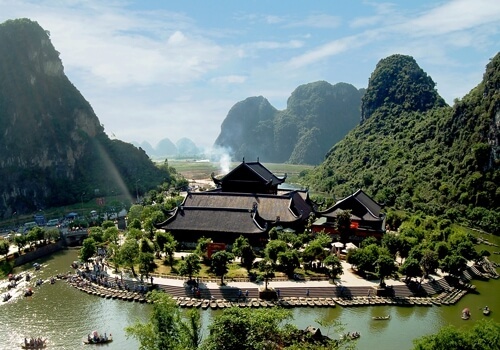 Visitors today will be entertained at this architectural landmark which features a range of events including local Vietnamese opera, traditional folk music, ballets and many international concerts. 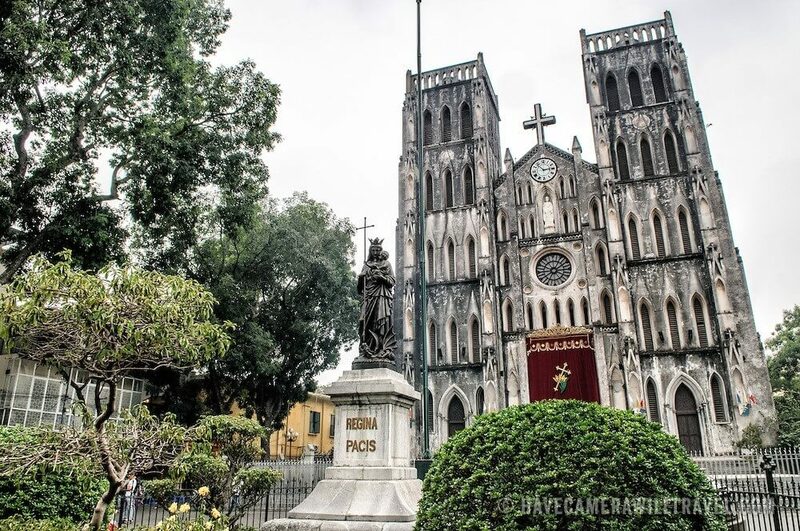 Hanoi’s Minster, which is also called Big Church or Saint Joseph Cathedral, is a big church located at 40 Nha Chung street near Hoan Kiem lake. This is a Roman Catholic church with neo-gothic style like Paris Cathedral, which was built over 100 years ago. It was constructed in 1882 and completed in 1886. Church’s design is a style of architecture Gothicist medieval in Europe, prevalent in the 12th century and the revival in Europe, as in the form of the Reunification Palace Paris with curved and wide domes, direction on the sky. Construction materials of the church is terra-cotta brick, walls by Boi paper. The church is 64.5 meters in length, 20.5 meters in width with two bell towers of 31.5 meters height. On the top is stone cross. The first Christmas took place in Hanoi’s Minster in 1887. And then, the church is always crowded with hundreds of people including both Christians and non-Christians at the weekend or during religious holidays like Christmas until now. The area around Hanoi’s Minster is always gathered place of people hanging out with friends for talking, eating, drinking or simply watching the streets. The cathedral is not only an atractive place in which many of Christian couples hold their wedding, but also where grooms and brides have beautiful wedding shots. 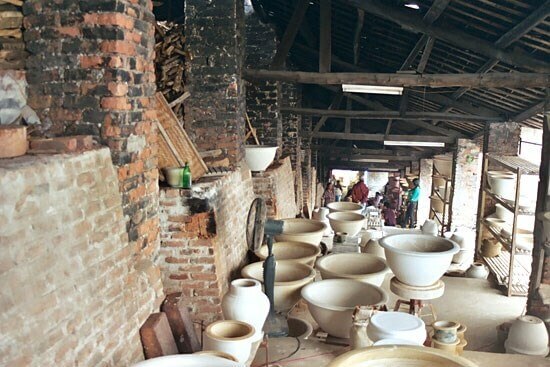 Located in the left bank of Red river, about 10km away from the center of Hanoi, Bat Trang is the most ancient and famous pottery village of Viet Nam. 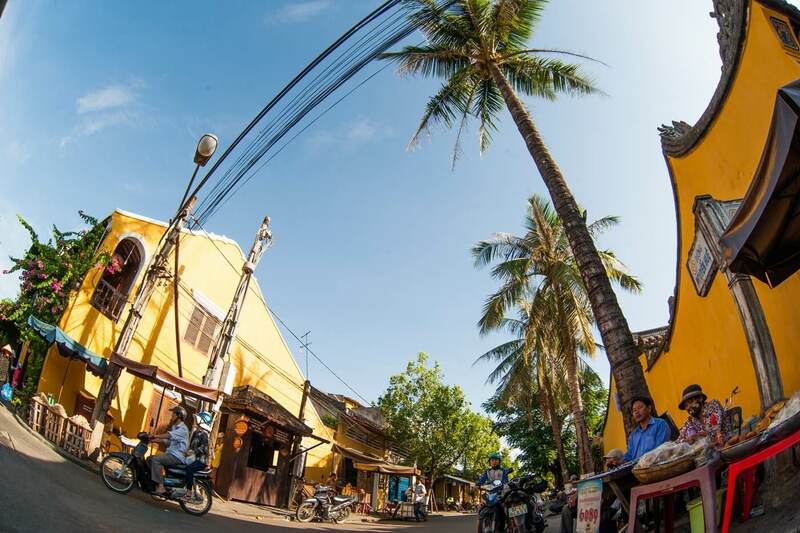 Bat Trang village existed as a suburb of Thang Long capital, as a handicraft village some 500 years ago. Bat Trang pottery has been distributed to every region of Vietnam and even to foreign countries, it is valued as typical pottery of Vietnam and has become well-known nationally and internationally. Over the centuries, until now, Bat Trang pottery has maintained a high quality and has produced mostly items for worship, such as lamps, incense burners and vases. With market demand, house utensils appeared, mostly bowls, dishes and vases. Nowadays, Bat Trang produces many different types and designs of items, so even daily household items may have the beauty like decoration ones. Visiting Bat Trang, tourists not only can shop or see sights but also can directly make pottery items by themshelves. This is a really strange and interesting experience, especially for foreiners.